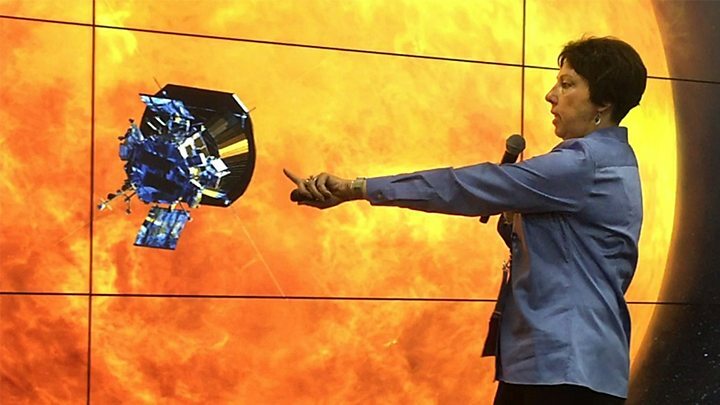 America’s audacious mission to “touch the Sun” has now got nearer to our star than any previous human-made object. 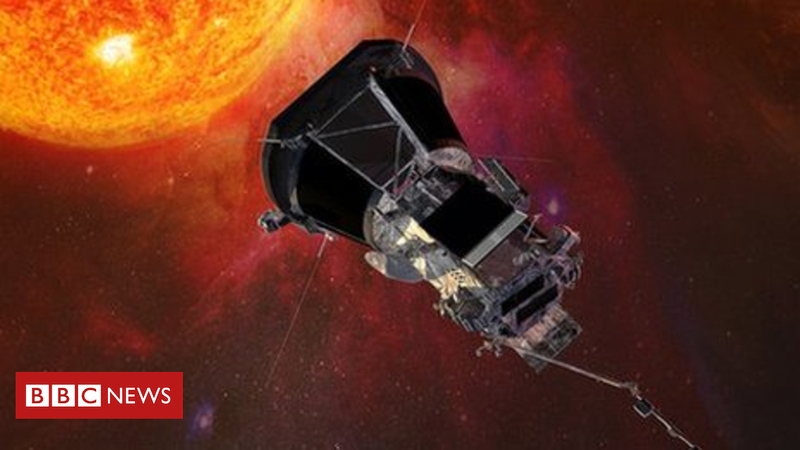 The Parker Solar Probe passed the current record of 42.73 million km (26.55 million miles) from the Sun’s surface on Monday. The previous record was set by the German-US Helios 2 satellite back in April 1976. That mission also set the all time speed record of close to 70km/s (43 miles/s). Parker will smash this, too. The expectation is that it will eventually reach peak speeds around 190km/s (690,000km/h; 428,700mph). Parker was launched from Earth in August. It’s on a trajectory that will take it inside the Sun’s outer atmosphere, or corona. Information from this region promises to crack longstanding mysteries about our star’s behaviour. Parker’s elliptical orbit will edge closer to the Sun over the coming years. At its closest approach, the probe will get to just 6.12 million km (3.83 million miles) from the star’s broiling “surface”.